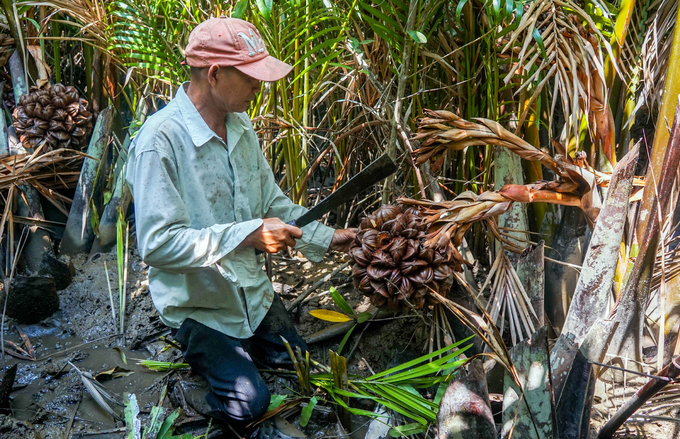 Once a week, Le Xuan Hung, 56, of Can Gio goes into a swamp 15 kilometers from his house to cut down nipa palm fruits, one of many locals to do this. The fruits grow in the mangrove forest near the water front. Can Gio still has a large area where the palm trees grow naturally. Locals also use their leaves to cover the roof of their houses. The fruits grow in clusters all year round, but are most abundant in the rainy season from late April to November. Each fruit cluster has hundreds of dark brown fruits the size of a human palm. Its flesh is white and used to make food and drinks. 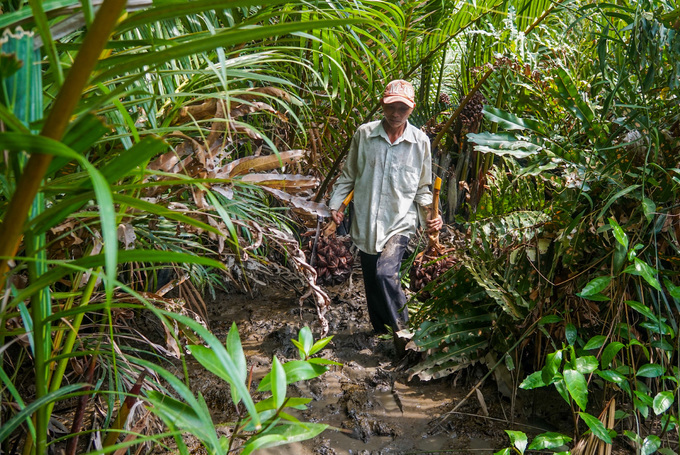 Since the harvesters need to walk in the swamp, they have to wear long pants and boots to protect themselves from leeches and mosquitoes and thorns. 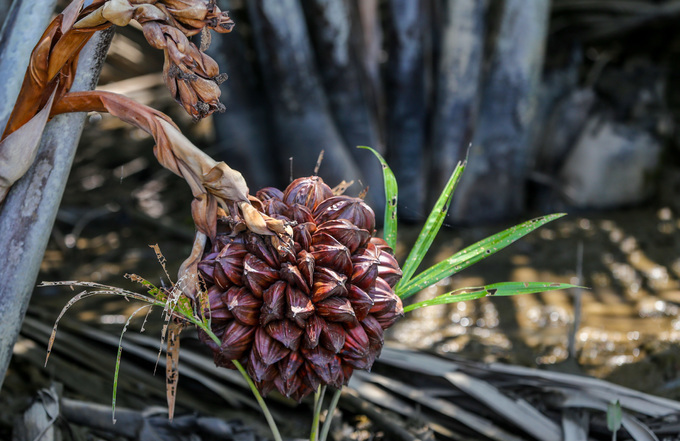 It takes about half a year for the nipa palm fruit to become edible. The pickers usually cut open one fruit to check, and if it has white flesh and lets off the juice, then the cluster can be picked. 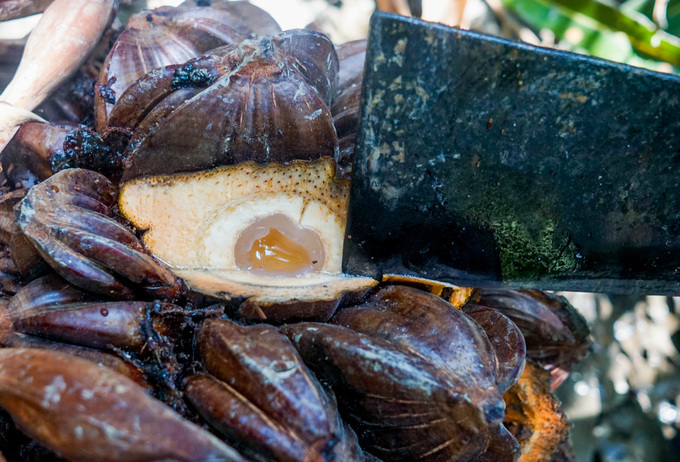 The petiole of the nipa palm fruit cluster is cut across so that it can be carried in the hand. Every time he goes to pick the fruits, Hung managed to bring back 30 to 50 clusters. 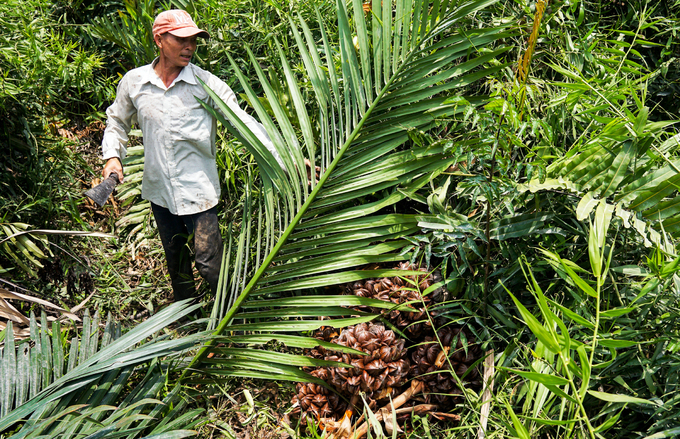 The harvesters use the palm tree’s leaves to protect the fruits from the sun. 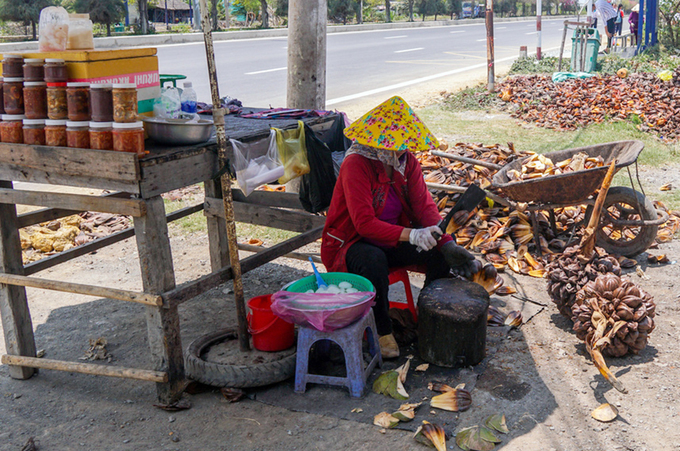 The fruits are sold to drink shops or stops along Rung Sac road from Binh Khanh ferry to Can Gio beach. A cluster fetches VND15,000 – 20,000 ($0.65-0.86). 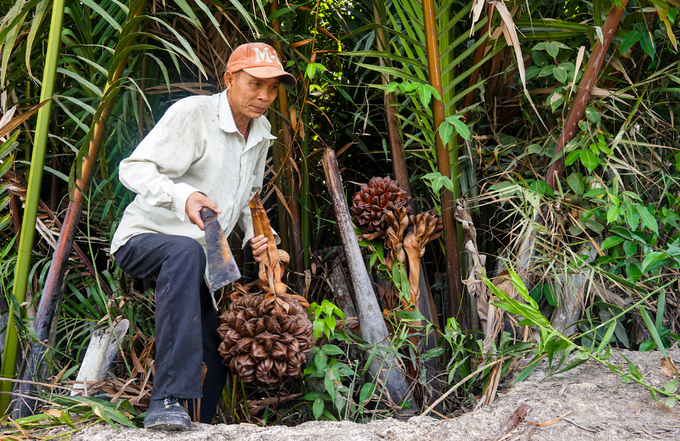 Each time he goes to pick the fruits, Hung earns around VND500,000, or more than $21. The buyer cuts the fruit, takes out the white flesh and mixes it with coconut water to make a refreshing drink. 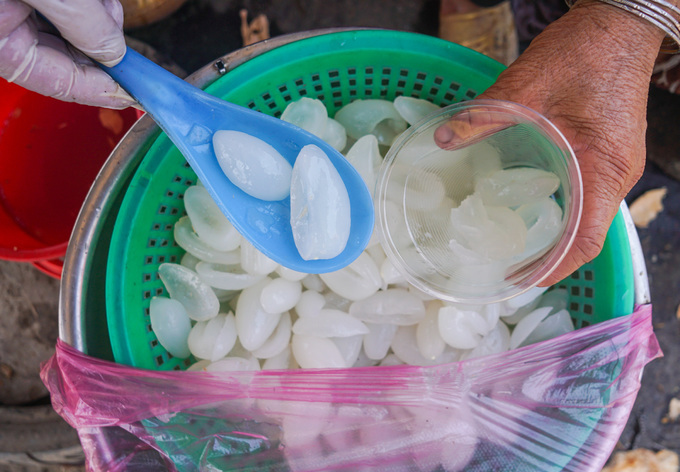 They also sell shelled nipa palm fruit, usually for VND60,000 ($2.60) a kilogram.